Welcome Year 5 students and parents! On this page you can find a bit more about what we've been getting up to in Year 5. For further information on Year 5's curriculum, please see the 'Curriculum -> Year 5' page in the Key Information section of this website. Push yourself with Homework Plus – an optional opportunity for independent home learning. The Homework Plus scheme allows you to buy subsidized Literacy and Numeracy books from the office – speak to your teacher for a form. Children also have been subscribed to the London Grid for learning portal, Espresso coding and Purple Mash. These contain lots of learning games and resources to help your child learn in a fun way while at the same time improving their computing skills. They should be encouraged to use these at home. Here are the links you can follow to the subscribed websites. 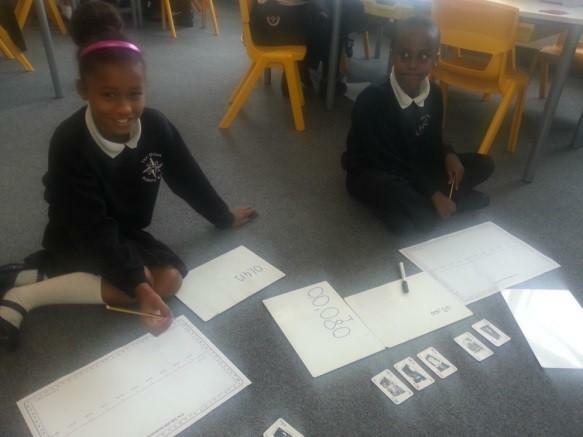 In Mr O'Briens Numeracy group this term we have been learning all about place value in 5 digit numbers. We then took a look at multiplying and dividing by 10 & 100. 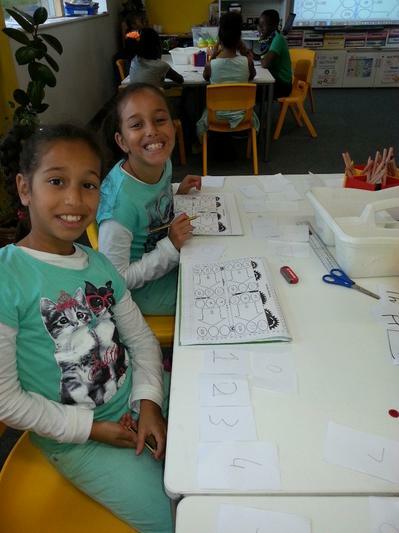 Some lessons have also looked at using number lines and other written methods (column) for addition and subtraction. 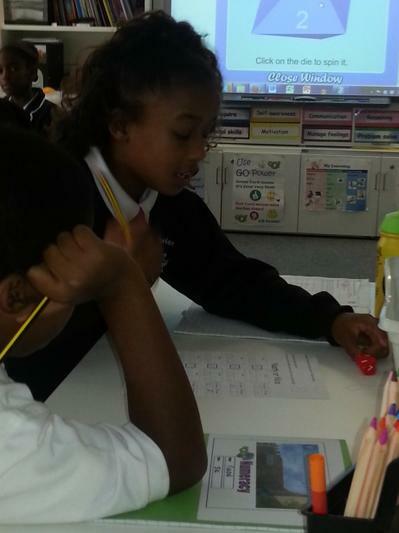 We then moved from number work to studying the properties of 2D and 3D shapes. 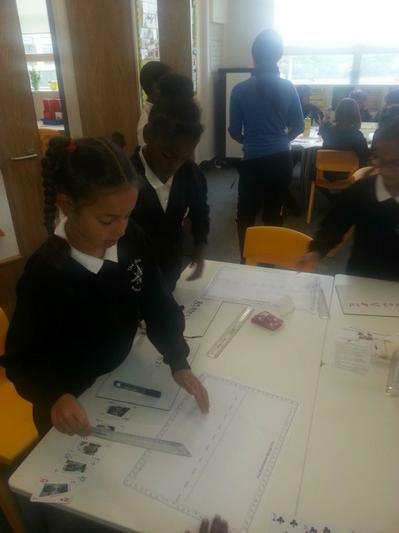 We will be classifying quadrilaterals, investigating factors and learning about fractions next term. In the Autumn 1 term we looked at a unit based on a famous author. In our class we looked at a book by Louis Sachar called There is a boy in the girl's bathroom. We analysed the main characters, plot and themes. We examined the language and sentence structures in the text and used them in our own writing. This unit was then followed by three weeks of work on legends. They read a range of legends in class to look at the structure and plots in them. We made notes on the main features of this text type. The unit concluded with the children writing their very own legends which were turned into a class book for other children to read. In our word and sentence level work the class looked at words with unstressed vowels. We looked for spelling rules to help us learn them. 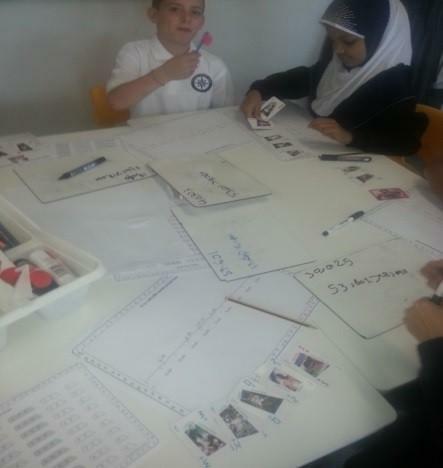 The children also learned how to write compound and complex sentences. They became confident writing and recognizing embedded clauses and also writing and punctuating dialogue with reporting clauses. In our Topic unit we took at look at invaders and settlers. Our focus was on the Anglo Saxons. The children looked at the factors which influenced their decision to come to Britain. We also sketched maps of an early settlement with keys. Other lessons focused on the food, clothes and armies of these historic people. The children made their own tunics and colored them using natural dyes from food. Our next unit is going to focus on the British civil war, this period will also include a look at the gunpowder plot, Oliver Cromwell and Samuel Pepys. We initially spent three weeks looking at the topic of sound. The children learned about what a sound source is, vibrations, pitch and volume. Following on from this unit was a recap on Forces. The children learned about different forces on our planet and especially gravity. They did an investigation on how different forces can act and made predictions and collected data on it. They then presented this. The next unit of work for year 5 will be the Earth, Sun and Moon. This unit will last for the whole of Autumn 2 and will involve learning about our solar system, the relationship between the Earth, Sun and Moon and its impact on our life on Earth. The children will think about what causes night and day, the seasons and leap years. They will explore the moon, its phases and how it orbits the Earth. Some time will be spent thinking about sundials and also water, weather and the layers on Earth. The unit will be rounded up with a class trip to the Greenwich observatory where they will have a talk and demo from an astronomer. They will then explore the observatory to relate all their learning to real life.